Yes, it’s both a fun and frantic time of the year, so shoppers, drivers, cooks, Moms, Dads, sports fans, party-givers and goers, everyone (!) needs to stay calm and only let the best of the season get to one’s self. It’s been suggested that carving out some time to just relax at a comfortable café or bar and sit back and enjoy your favorite cocktail - or take the bartender’s recommendation and try something new - is a tried-and-true way of slowing down the pace. This also works like a charm when in the company of other exasperated shoppers, drivers, etc., even on the way to dinner or after a long day. Bourbon House Seafood and Oyster Bar, one of the four French Quarter establishments in the Dickie Brennan & Company restaurant group, is as celebrated for its bar as well as for its cuisine. 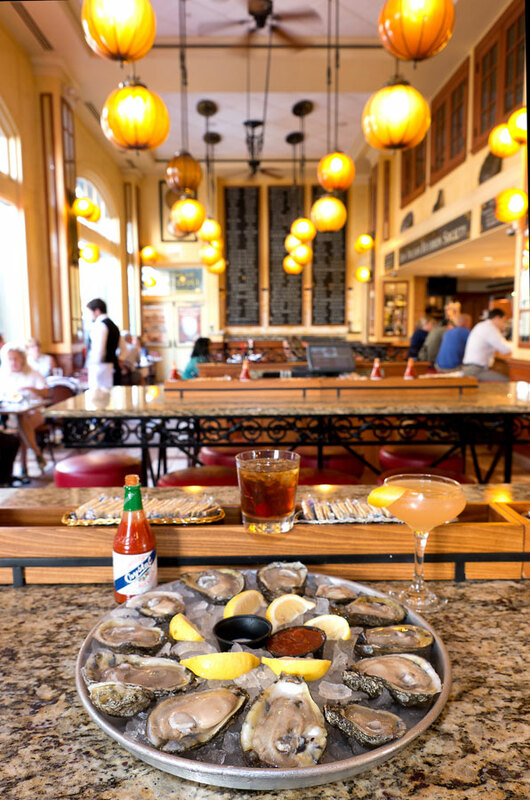 Home to the 3,500-strong members of the New Orleans Bourbon Society and operating perhaps the best oyster bar of any restaurant in the city, Bourbon House has recently undergone an extensive renovation. The main focus was to showcase the restaurant’s impressive bourbon collection and expand the always lively oyster bar. The renovation far exceeded the organization’s goals, improving, and, in general, upgrading the restaurants spectacular interior overlooking Bourbon Street. The bar, overseen by Dickie Brennan & Company Beverage Director Barry Himel, is a popular meeting, eating, and drinking place where everyone seems to be having fun. "Bourbon is America’s favorite spirit and frankly nothing beats Louisiana seafood," said Dickie Brennan. Bourbon House offers incredible, in-season local seafood, freshly shucked oysters straight from the Gulf, and New Orleans' most extensive and impressive selection of small batch and single barrel bourbons. Adding to this nothing-but-good-news scenario, the bourbon selections have grown dramatically. More than 160 bourbons are available to thirsty travelers and locals alike. The goal is to offer the most extensive collection of bourbon, the spirit, outside of Kentucky. Although Bourbon House is esteemed for its classic frozen Bourbon Milk Punch, Bourbon House Root Beer Float and Sazerac, the bar is turning out cocktails like Bourbon Sidecar, Harvest Moon Return, Boulevardier, and the Fig Newton #5, a specialty cocktail for “Reveillon on the Rocks,” the bar component of Reveillon Dinners, which features holiday-themed drinks. 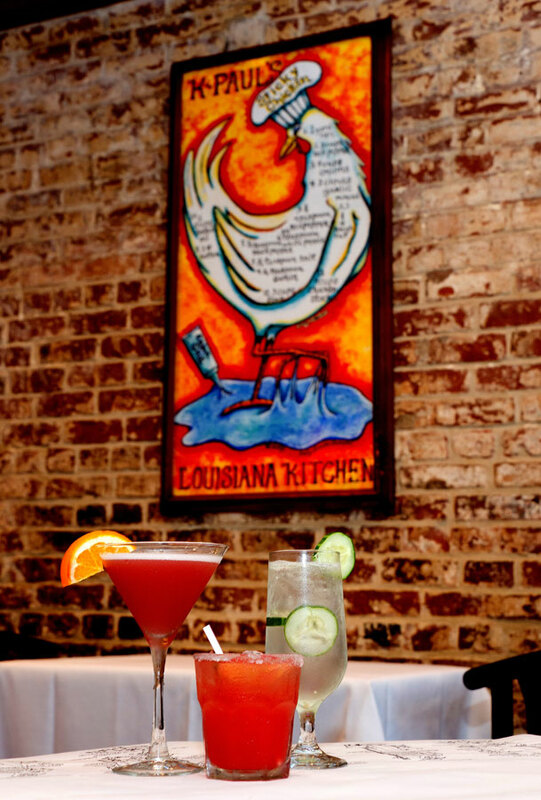 Plus, Happy Hours are Monday-Friday, 4- 6 p.m.
Just five blocks down Bourbon, at the corner of St. Peter Street, Cornet is a beacon for Creole and Cajun food lovers as well as for relaxing with a drink and “watching the world go by” on always-exciting Bourbon Street. Even better, although there’s a cushy dining room on the first floor, the second floor dining room has a balcony for dining and people-watching. The vibrant atmosphere and surroundings are appealing and well-chosen. Three large televisions in the “Cheers”-like bar are often tuned to sports events, news, or other customer requests. There’s even a program showcasing photographs of Cornet’s individual dishes from their full menu. The bar is fantastic – and the hospitality of Bar Manager Cheri Green with bartender-teammates Nikki, Tina, and Rosi, creates a cheery and delightful experience for patrons. The perfectly crafted cocktails are all made with freshly squeezed fruit juices daily. In addition to the restaurant’s moniker, a number of cocktails are named for the recurring musical theme the establishment evokes, such as the Cornet Cosmopolitan, Basin Street Blues and Cornet Cooler. Blueberry Hill - a tribute to local rock n’roll legend Fats Domino- is a favorite, as are other cocktails in homage to the great Louis Armstrong: Satchmo Margarita, Louis’s Hurricane, Hello Dolly, and Ain’t Misbehavin are on the list for patrons’ enjoyment. Specialty cocktails – many with a local flair – are crafted by Green and team: Pimm’s Cup, Sidecar, Dark n’Stormy, Cajun Martini, Voodoo Mojito, Mint Julep, Sazerac, Pimm’s Cup, Mint Julep, Cornet’s Infused Bloody Mary, Pirate’s Alley, Crescent City Sling, and General Jackson’s Delight. Besides the tasty cocktails, Cornet serves a fine selection of wines-by-the-glass or bottle. And, for beer fans, Cornet recently introduced a flight of 4 beers from local brewery Urban South. Featured are Holy Roller IPA, Charming Wit, Shandy, and Grapefruit Shandy, all good for refreshing and reviving the senses during the frenzied season! 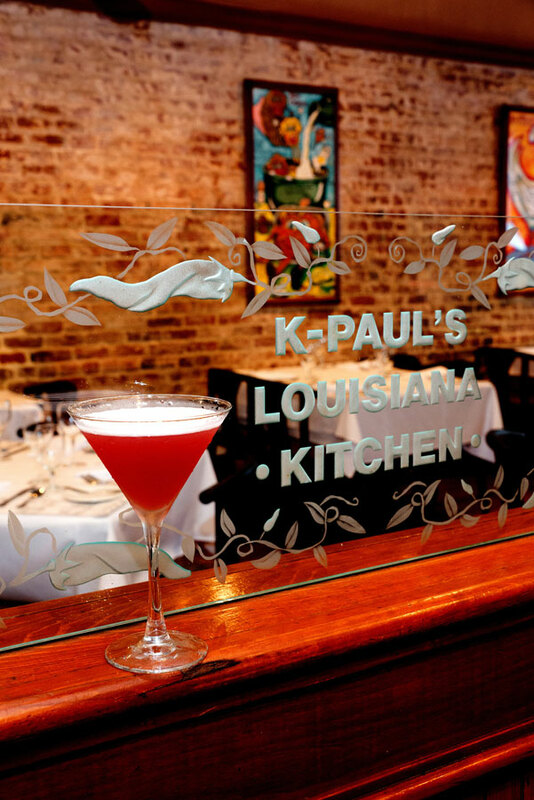 K-Paul’s Louisiana Kitchen is renowned internationally for its distinctive Cajun and Creole cuisine. The late Chef Paul Prudhomme introduced and shared Louisiana’s regional cuisines with the rest of the world. Operated by Executive Chef Paul Miller and his wife, Brenda Prudhomme, who is Chef Paul’s niece, the tradition continues. The food continues to be incredible and the spirit of enjoyment and love of life that Chef Paul embraced endures: in the dining rooms, the courtyard, the balcony, in the hearts of his loved ones and his fellow cooks, the customers and… even in the bar. Of all the platitudes and acclaim the restaurant has received over the years, the bar is always overshadowed by the classic cuisine Chef Paul brought to the forefront of American gastronomy. The restaurant offers more than 25 wines-by-the-glass daily. In addition to the curated assortment of wines-by the-glass, K-Paul’s bar offers an intriguing selection of cocktails . Bar Manager Morgan Fouss makes seasonal changes in the menu. Of course, some cocktails need to stay on year-‘round because of the demand, such as the Sazerac, Cajun Martini and K-Paul’s Cosmopolitan. 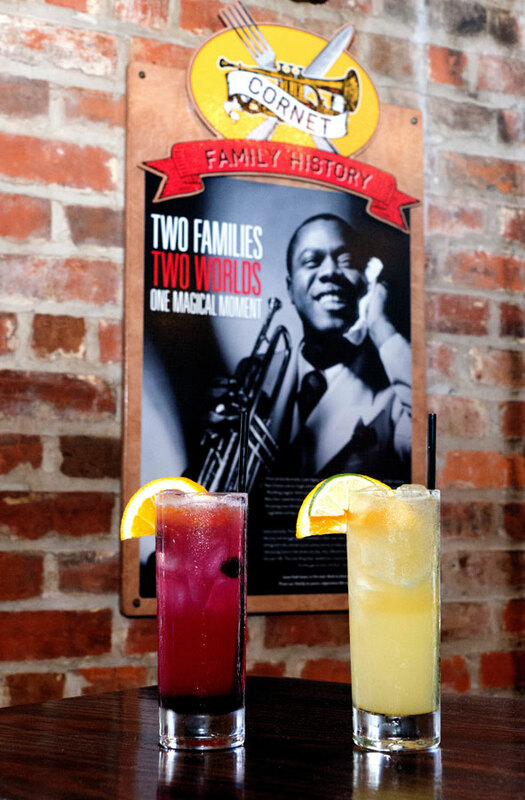 Currently, cocktails such as a Peach Bellini, Basil and Lime, Cucumber Gimlet, Louisiana Peach Tea, Jalapeno Margarita, Rock n’Rye, Knobby Ginger, Peach Margarita, White Chocolate Raspberry Martini and Sangria have been crafted for customers’ delight! Bar bites are available from the kitchen to accompany libations, such as Fried Flounder Chips with Jalapeno Hush Puppies and Cool Caper Dill Tartar sauce, Crawfish Enchilada, Sweet Potato Fries, Fried Onion Rings, Crispy Potato Skins and Fried Green Tomatoes with Shrimp Caper Dill Remoulade. New Orleans’ Bombay Club presents itself in a cozy, “clubby,” often intimate atmosphere in which drinks and fine food are served to patrons’ delights. Once inside the stylish club, there’s a vibe that makes one think that something special can happen. Especially since this happy spot is just steps from the 24-hour madness that defines Bourbon Street. The Bombay Club, is both a locals’ and visitors’ favorite for more than 25 years. Specializing in classic cocktails from every era, the Bombay, as it is known, has also gained quite the reputation as a fine dining restaurant and a place where live music has found a home. The mahogany walls are lined with bookshelves, giving the place more of a private club atmosphere than many actual “members’ only” clubs. Tables surrounded by banquette seating located in alcoves and able to be closed off with curtains provide the perfect setting for an intimate tete a tete or a meal away from prying eyes. The Club wraps around a glass-enclosed, landscaped courtyard with a fountain and several statuettes, which serves as a comfortable space for patrons who want to experience the night air and the star-spangled sky. The Martini, on which the Bombay built its reputation, is served in classic style or precisely to the guest’s liking. Many variations of the timeless cocktail are on the menu as well. Head Bartender Blake Kaiser created several cocktails for the holiday season’s Reveillon on the Rocks offerings. 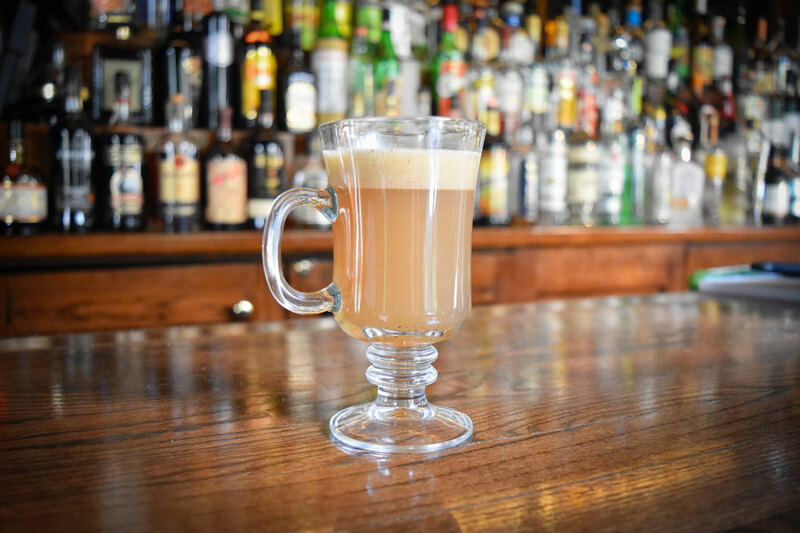 First is a traditional Hot Buttered Rum with Bacardi 8, spiced butter and nutmeg. In addition, nutmeg also appears again in an Egg Nog Kaiser made with Old Overholt Rye whiskey. Happy Hours are daily, from 4 p.m.-7 p.m. A Small Bites menu includes an interesting variety of snacks to pair with cocktails… and that wonderful Bombay atmosphere! Some extremely edible examples are New Orleans BBQ Shrimp, Boudin Scotch Egg, Andouille Fried Oyster Salad, Steamed P.E.I. Mussels, Fried Brussels Sprouts, and Braised Lamb. New Orleans live music is featured most nights, adding to the sensual pleasures of a place that knows how to appeal to people on a variety of levels. Drink up… Cheers!